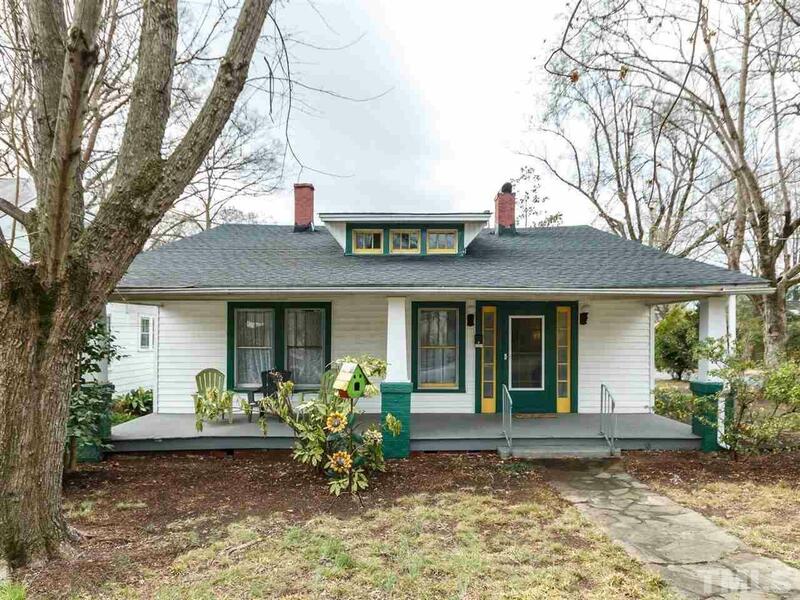 A rocking chair front porch welcomes you to this Watts-Hillandale bungalow located just minutes from Duke Hospital/University, 9th Street & downtown Durham. Nine and a half foot ceilings & hardwood floors compliment the 1930's charm, while the renovated kitchen w/ new cabinetry, stainless appliances & granite countertops adds modern style. Two flexible living areas, spacious bedrooms, an updated bathroom & a laundry room complete this comfortable & convenient home on a corner lot with off-street parking.